For all of you who said "Just build it, Indian, and take my money," the moment of truth finally has a date. 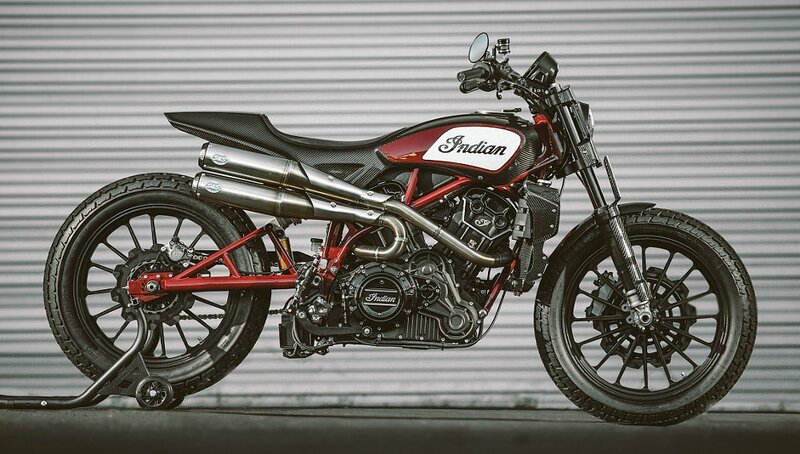 Indian has announced that a production version of the FTR1200 flat-track-inspired custom shown last year will be available in 2019. While it seemed everyone expected Indian to build a street tracker to cash in on the phenomenal success of its FTR750 race bike in the American Flat Track series, you never know for sure, in this business. Hopes have been shattered on the ice-cold rocks of corporate reluctance before. But now it's officially confirmed that the FTR 1200 is more than just a one-off custom and will go into production. Flat track inspired. Street bred. We’re proud to announce that the #FTR1200 is coming. "Riders definitely have spoken and the response has been overwhelming," said Indian Motorcycle President Steve Menneto. "We’re proud and excited to announce that we will be putting the FTR 1200 into production." 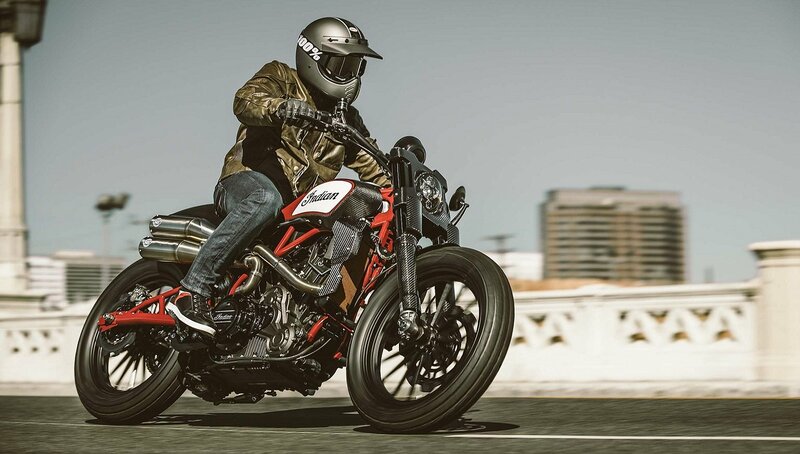 Indian said the FTR 1200 production version will draw on cues from both the FTR750 race bike and the one-off custom shown at EICMA and elsewhere last year. The FTR1200 custom bike got enough fawning attention that Indian is putting it into production in 2019 as the FTR 1200 (apparently the space between the letters and the numbers tells us the difference between what you can drool on at a show and what you can actually buy). Indian photo. Beyond that, there's not much more we know in the way of details, at this point. The announcement said the new bike will have a trellis frame and "a new V-twin engine." How different it will be from the Scout engine is an interesting question. As noted in the tweet above, Indian is going to give one away and in the official rules it says the prize is worth $15,000, so that presumably gives us at least a ballpark estimate of the price. Indian has been promising for a long time that it was going to break out of the in-the-box thinking that American motorcycle companies can only build big, traditional cruisers. The FTR 1200 is a good first step in fulfilling those promises and the most logical first step, given the way the Indian Wrecking Crew is cleaning up in flat-track racing. It definitely makes me more interested in seeing what else Indian comes up with.